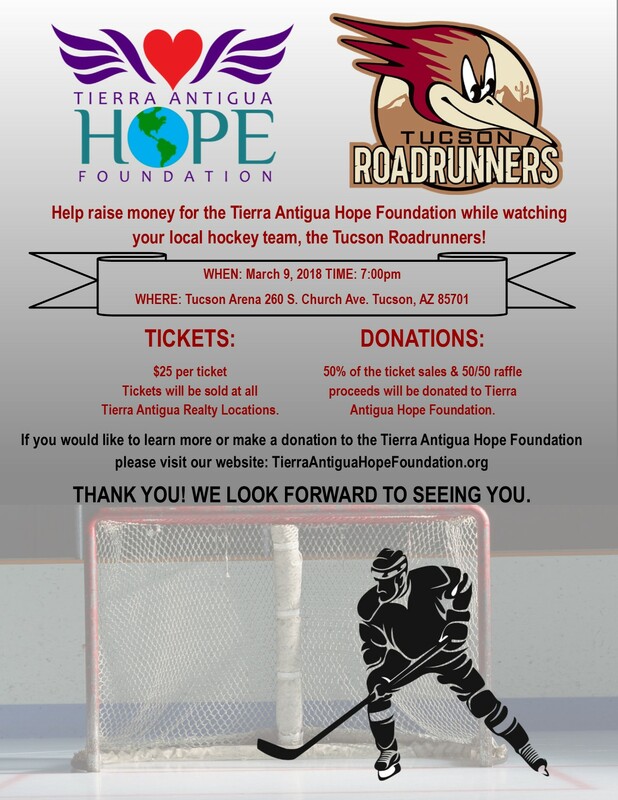 Come join us for a fun night of hockey and fundraising for the Tierra Antigua Hope Foundation on March 9th! Tickets will be sold at ALL Tierra Antigua Realty locations for $25. Don’t miss out! Thank you to all that came to support Tierra Antigua Hope Foundation!